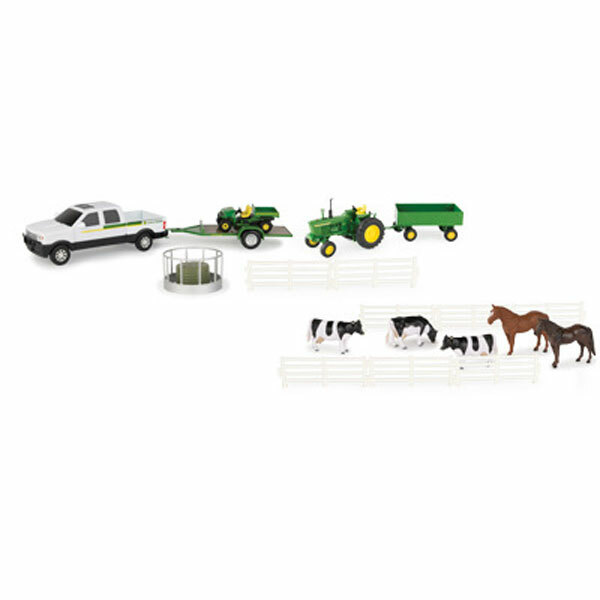 Everything the littlest farmer needs to set up their farm. 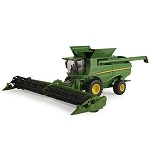 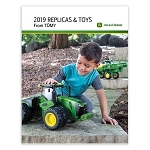 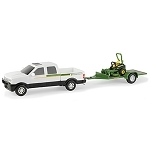 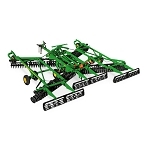 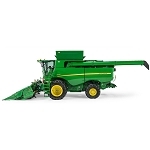 The set includes a 1:32 die-cast 4020 tractor, barge wagon, 8" John Deere dealership pickup, detachable trailer, gator, 8 pieces of fencing to corral the two large horses and three cows. 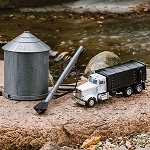 Feed them all with the round bale holder and bale.